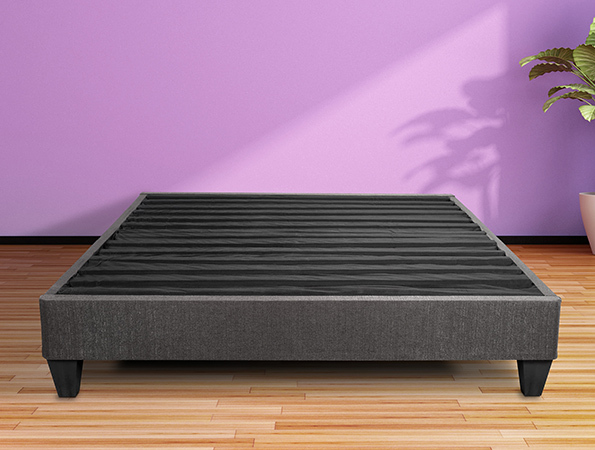 Rapid Base 2 upholstered bed base elegantly combines functions of a mattress foundation and bed frame to create a contemporary stand-alone platform bed. Can sit directly on floor using attached feet or on separate bed frame for higher profile, and can be used with or without headboard. Wood construction upholstered in Tweed fabric.